Dogs throughout the Wilmington, NC area are rejoicing that they can go back to the beach. 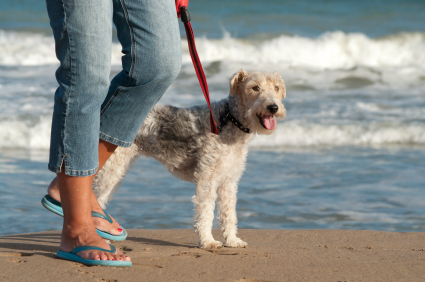 For the safety, well-being, and convenience of all beach-goers, Wrightsville Beach has strict laws regarding pets on the town beaches. The fines for not abiding by these rules is $250.00 on first offense (no first warnings!). The Wrightsville Beach Board of Alderman moved to this fine structure when they found that town officials were issuing hundreds of warnings and violations kept increasing. The town of Wrightsville Beach loves our furry friends but needs to ensure the safety and comfort of all residents and visitors. And now it's October, so.... Welcome Back Doggies! Enjoy!